Routers can easily be the center of home entertainment. The television connects to the router in order to stream movies, the smart phones use the router to download the latest games and social updates, the stereos will stream music from online sources over the router, and gaming consoles will provide hours of thrilling online adventure when paired with a router. Some routers just can’t cope with all the demand, or don’t know where to prioritise resources. This inevitably results in buffering, waiting for silly amounts of time for a download to complete or nightmarish lag in gaming. Fortunately, there are routers designed to handle a multiple user load so performance doesn’t start to lag. Listed below are the top ten multiple device routers on the market today, followed by a guide to help you decide which router is right for you and your multiple devices. Come with 6 Omni directional high-gain Antenna - Suffice to penetrate two to three walls and reach up to 400 square meters of coverage. Total transmission rate up to 1200Mbps. The Netgear Nighthawx X8, like the others in the Nighthawk line, is a true beast in Wi-Fi routers. It offers up to thirty two connections per band, and it has three of those. 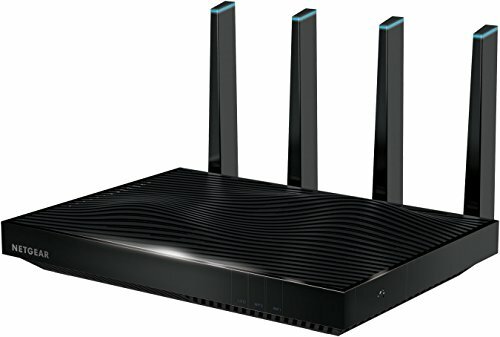 So this bad boy can have ninety six people actively connected to it at once; albeit the performance of the router would most likely take a solid hit when that many people are actively using. However, for a high-use household of around even thirty devices that get used off an on, this router provides the fastest speeds in the most intelligent manner. It should, of course, since it is one of the current high-end routers on the market today. This particular Linksys was specifically designed with device heavy homes in mind. 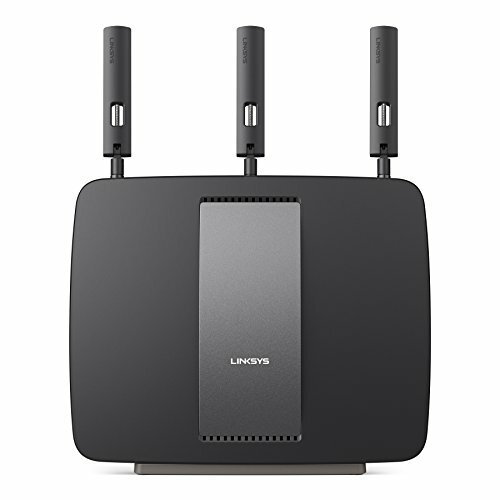 Much like the Nighthawk, this Linksys also provides a Tri-Band connectivity with Gigabit Ethernet speeds and USB port functionality. Also like the previously mentioned router, and many other top high-end routers, this router is integrated with technology to prioritize devices to ensure the fastest speeds to every connected device. Plus, this router boasts of a combined connection speed of 3.2 Gigabytes per Second and a 1 GHz duel-core processor to increase performance. For home users that don’t know, MU-MIMO is newer multi-user receiver technology; this new technology is nearly mandatory if the router will be used in a home with heavy use and multiple devices actively connecting to it. This router truly excels at using this technology. Enabling its users with four high performance streams it can provide unbuffered streaming for 4K HD video and intensive online gameplay. This one, however, also makes a point to focus on the family, and it allows parents to choose time limits for their children with the built-in parental controls. All topped off with a fast 1.4 GHz processor to keep the streams running smoothly. 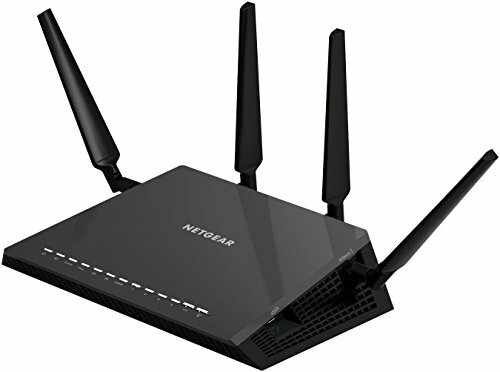 Similar to its previously mentioned sibling in the Nighthawk family of Netgear routers, the Netgear Nighthawk X45 utilizes four antennas to broadcasts the wireless signal. It also uses Beamforming+ technology to make sure the signal is only going to the areas that need it, which allows the router to broadcast the signal farther than the standard router. Also a MU-MIMO technology equipped device, this high powered router will support heavy usage with its blazing 1.7GHz duel core processor. Another great feature of this router is that it is ready to be used as a network storage location with two 3.0 USB slots and an eSATA port. The TP Link AC3200 Router immediately comes with a two year warranty and hassle-free 24/7 technical support, which shows that this company is ready to stand behind their product, and it is obvious why. This router comes with all the bells and the whistles of a high-end router, but it is at a more affordable price tag. The easily accessed interface and free tethering app enables the user to quickly set the device up for use. It also intelligently connects certain devices to a specific band in order to optimize the networks resources, and with a 1GHz duel core processor, with three extra co-processors pitching in, it can handle a heavy connection load without lagging. 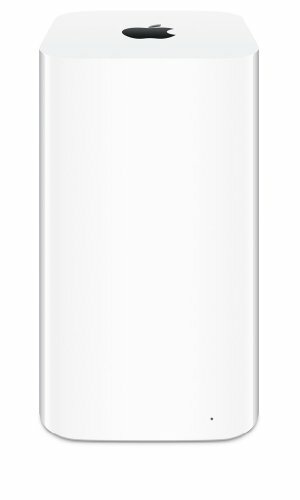 The Extreme Base Station by Apple has really increased the productivity since the last generation of Apple Router. This device has three times the speed of the older models punching in at approximately 1.3 Gigabytes per Second. The router does use beamforming antennas to get the Internet signal directly to the device, and is specifically designed to work optimally with other Apple products. It also has a very sleek and appealing look that would compliment decor instead of looking like an obtrusive piece of bulky technology. 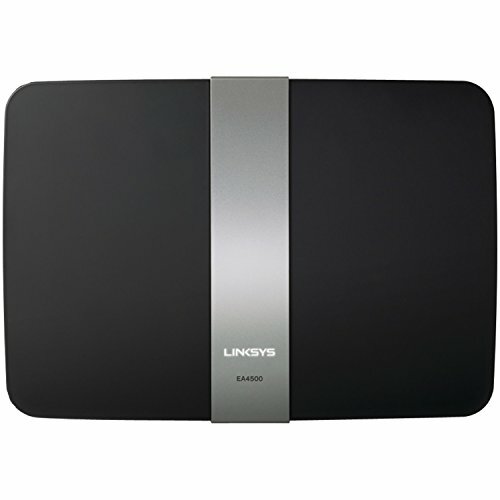 On the more affordable side of the spectrum, this Linksys N900 has all the essentials to efficiently connect multiple devices to the Internet. While this router doesn’t have the same processing power as the previously mentioned devices, it would still work incredibly well for a modern family house with multiple smart phones, tables, and laptops. It has the same parental controls found in other Linksys routers, and it even has a separate guest network for when friends and family visit. The antenna array should have a broad enough range to cover most homes and apartments, and the high broadband support will allow users to game online or high quality video. As a router that is easy on the budget, the Asus RT-N16 compacts powerful performance into a device that looks modest and sleek. Pushing out high performance broadband at 300 Megabytes per Second with a 2.4 GHz frequency, this router will provide every user in the house with fast downloads and streams. 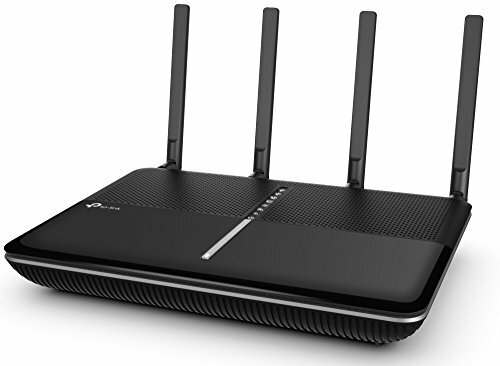 The router uses a streamlines quality of service technology that increases the efficiency of the bandwidth for various, user selection, choices like gaming, streaming, downloading, and even video calls. This little gem sports the six antennas attached to a slightly ill-designed casing filled with straight lines, sharp corners, and metalic finish. 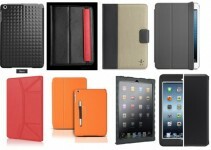 However, the quality of the technology hidden within isn’t demolished at all by the exterior. 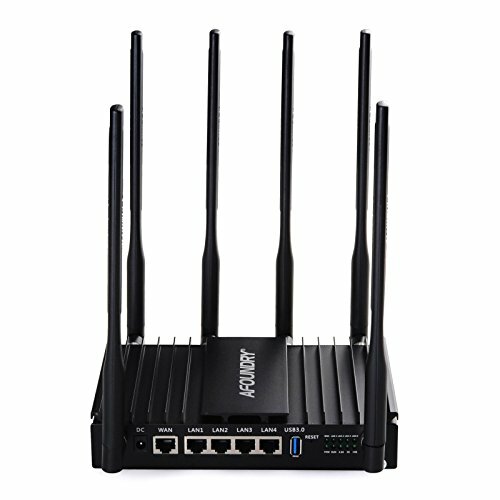 The Afoundry High Power Router takes security to the next level by building the firewall directly into the device and optimizing the various security options to work with third-party vendors to keep everyone on the network safe from malicious attacks. Add that to the fact the user can chose to adjust the output power and supports all the advanced functions of a router, it is clear that the device was technologically designed to handle any streaming activity thrown at it. This little portable travel router may not look like much, but the versatility that it offers exceeds some of its more pricey counterparts. It can transfer data up to speeds of 150 Megabytes per second at the high performance frequency of 2.4GHz, and it can be used as an access point, a client bridge, and a router. The device itself can either be powered by the usual outlet or through a USB port to ensure maximum functionality when on the move. It will also connect to older devices, but will maintain maximum security by giving the user options to setup firewall features and packet inspection to prevent malicious attacks from harming devices on the network. Now that you have seen above the best that’s out there on the market, here are some handy tips to help you decide which router is best suited for your needs. LAN ports: While many devices connect via Wi-Fi, some still require a hard-wired connection. Make sure you have enough ports or can add an Ethernet switch to add more to the built-in ones. 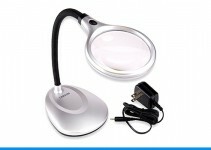 USB ports: You may need to connect a flash drive, external hard drive, or USB printer if the router has a built-in print server. Quality of Service: This is also known as media prioritization or traffic control. This allows you to assign bandwidth to different types of usage. So you can assign more bandwidth to streaming, for example, so you can watch a movie without it buffering while someone else downloads a large file. 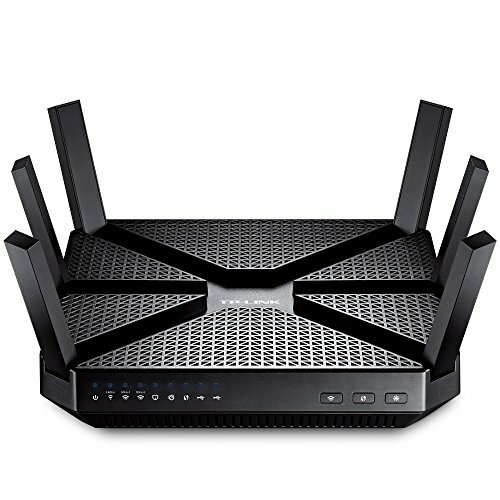 Wi-Fi range: Wireless AC routers provide the best connectivity over long distances (large homes, wanting to use signal in detached garage, etc. 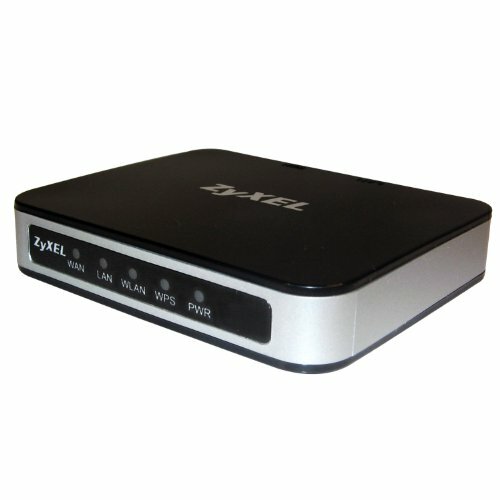 ), followed by Wireless N. Skip Wireless G if you want reliable Wi-Fi everywhere in your home. 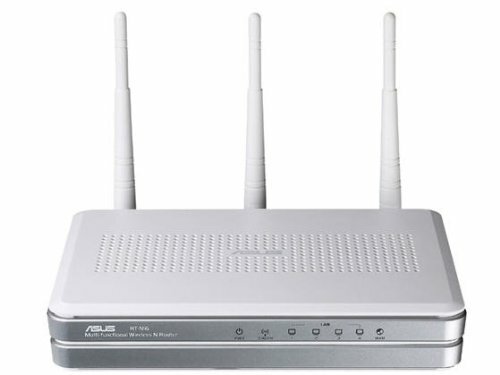 Dual- or Tri-band connectivity: Dual band routers have 2 bands: a 2.4GHz and a 5GHz. With only one band, everything takes place on the same band, which means the more devices in use, the slower things get. 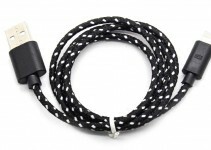 Dual band allows faster use by dividing usage between the two bands. You can browse the internet on the 2.4, while streaming a movie on the 5, and no one gets bogged down. A Tri-band router simply adds another 5GHz band. Think of each band as being like the lanes on a busy road: the more lanes there are, the faster traffic moves. Multi-User MIMO: MU-MIMO is a newer feature that allows multiple devices to get high-bandwidth Wi-Fi at the same time, and distributes data more efficiently, so that you’ll get the fastest speeds in your home. Limitations of the router: If the slowness of your connection is from your provider to your home, no router can change that. The fastest router in existence won’t make your streaming experience any better if the problem comes from the provider. Number of devices: Think about how many devices will need to connect. Consider computers, tablets, phones, ereaders, gaming devices, streaming devices, DVRs, home automation systems such as smart thermostats or smart lighting systems, security systems, etc. The more devices you have, the more robust your router will need to be to keep up. Mesh network: If you live in a larger house, or one with lots of walls, you’ll want to consider a mesh network rather than a single router. A mesh network is comprised of a few smaller routers that work together to increase the signal all over the home. Like wireless repeaters, they ensure you get a consistent signal without a drastic drop-off in speed because you’re far from the router. Drywall, plaster, and hollow doors can all interfere with signals, as can aluminum studs. Insulated walls and floors, solid brick and stone, or glass can all also interfere with the signal. Consider all of these things and compare a single router with a mesh network if these are concerns for you. Boost your signal: You can often pay a higher price for faster speeds from your provider. If you’ve determined that the slow speed is not a result of the router, you can try boosting your speed to see if that helps. Guest networks: If you frequently have guests that want to connect to your Wi-Fi, or perhaps you rent your home out as an AirBnB, get a router with a guest network. This allows you to give out a secondary password that lets your guests connect to a second network. Their access to the internet is unfettered, but their access to your network is limited by not having the primary password. Security: Make sure the router uses WPA2 encryption for your password. You’ll need to enter that password into each device you use on that network, but once you enter it the first time, the device should remember it. The closer you are to other people, such as in an apartment building, urban area, or suburban area with small property sizes, the more important security is. But even if you’re in the boondocks, security is still critical.